Being active in the social networks through posting, sharing, commenting and having your posts being shared, liked and followed all contribute to your overall social mention score which Google and other search engines favour. It is saying to Google that people like your content so much that they’re willing to share it. These past couple of years these ranking numbers highly influence Google’s overall page ranking score. It says to them that you’re an influencer providing good quality content and that’s why people are sharing it. This is one the three elements that help influence search engines like Google to index and rank your website so I’ll list them and talk about each one. The following are what you need. There’s detail about each one below the case study. I’ll use a case study client to illustrate each of them more clearly. InSite Creations engaged in a 2-hour meeting with them to discuss the goals, pain points, a number of known competitors with whom the client was concerned, and online marketing tactics that were currently being used to promote website and services offered. We underwent our “Full Website Assessment” process. Here’s what we found after reviewing the site and looking at competitors. Besides the couple of competitors whom the client provided we found a number of others that were at their heels so we examined each competitor closely to see what they were doing online and where they were ranking in the search engines. We identified that the primary keyword phrase the client used the most within their content was what we call a “Branding Keyword”. This is great if you are a well known entity who has some clout but if not, this type of optimization is quite useless. For example if you’re Nike or Apple you are so well known that one keyword alone works. There were numerous technical SEO issues that included page speed, non-mobile readiness, code errors, and duplicate pages. Many on-page optimization elements were missing and being overlooked by the search engines. They expected to be optimized for each of their service offerings but they had listed them all on one page with no further details which made it harder to optimize for each one. Their social platform was almost non-existent. They did have accounts but there was little or no activity. They had Google Analytics installed but didn’t quite know how to interpret the data to best use this knowledge for their marketing efforts. No matter what kind of marketing you plan to do, whether it’s online or offline, you always need to know what your goal is for that type of marketing, your budget and the timeline you have. This also helps any service provider to measure the results as they make changes to your overall web activity. We provided a comprehensive competitive analysis on four of the top competitors who were vying for positioning for each of their main services. We looked at the competitors’ page ranking scores, inbound links, social mentions, organic and paid keywords and compared them to our client’s findings. Since the site was using old technologies, we suggested a clean interface and platform that offered self-editing (WordPress) so that they could keep their content up to date and add or change it as they pleased. This also provided them with the ability to be mobile friendly which is imperative with the new requirements Google has for mobility. We provided keyword analysis to aid in the re-work of their page content and call to actions. We also incorporated supportive materials from the blog posts to enhance the quality and relevancy of the topic at hand on each main service page. We implemented the typical on-page elements for proper indexing for the search engines (title, descriptions, headers, interlinking, keyword positioning etc.). This is also known as landing page optimization. We dealt with page speed by using cleaner code, and by implementing certain plugins (in WordPress) to resize image resolutions and cache pages for quick retrieval. We also provided a number of analytic reports and each month we collect and interpret the data in them for the client. We made their audio and video clips more accessible by adding a transcript or summary after each one. We built in relevant call to action opportunities on every page with measurements to see if they are actually working. We’re still working with the client to improve upon their social popularity. They intend to write more blog posts to support the services they offer by providing relevant and useful information. They hope that their audience will share these with their friends and colleagues thereby increasing the popularity rate in a natural way. You’re probably wondering how you can implement these in your site now that you’ve read the case study. Here is how to use a 3-pronged approach to help influence search engines to index and rank your website. Some of what follows “YOU” can do yourself and there are also some “TECHY” things your web person needs to help you with. I’ll tell you which is which. Make a list of all your services or products and examine how your clients and you refer to them (they may be different). Then come up with as many phrases as you can (Use the tool – ubersuggest.org You can also use the Google Keyword Planner to extract more ideas and narrow down only those keywords that have relatively large volume of searches AND less competition for these keywords. These can be your target keywords.Break up these keywords to groups of similar phrases that can be used as content for possible blog posts for your site. Remember to write for the audience not the search engines but do keep them in mind.Write a title tag (TECHY) for each page and keep it under 60 characters. Try to keep the keyword phrase as close to the beginning of the title tag as possible. Write a unique description that is no more than 155 characters. This description helps to attract clicks by searchers reading the results page on Google. Use Relevant Contextual Content. Make sure your content is related to the keyword phrase that you’ve queried and clients are likely to search for. (YOU) Write Unique Content Make sure you have at least 300 words per page post as a minimum to ensure that you can incorporate the primary keyword phrase and its terms. Stay away from hard selling. Instead concentrate on benefits and features, examples, showcases. Utilize mixed media – blogs, rss feeds, video, podcasts, audio. As the title suggests, everything here is technical. Ask your developer to check these and correct any errors. Coding (W3C), page speed (GTMetrix.com), duplicate pages (Moz.com or SEMRush, Screaming Frog), Google Analytics/Google Tag Manager embedded, Robots.txt settings – make sure you aren’t blocking your site from being indexed. Some CMS have this setting automated and not in your favour. Usability – the experience a site visitor has when visiting your site, plays an important role in whether Google finds your site worthy to index. If they are coming to pages that close the site, or making you go through hoops to find information, or text is too small or colour is too close to background colour making it difficult to read, these all play a role in whether your site visitors and Google sees the site as being user-friendly. Page speed plays a major role in whether Google sees the site as being optimized. As the title here suggests, you need to become “socially popular”. This means that you need to be seen on social media by both readers of it and search engines like Google. (YOU) Be active in social networks by posting, sharing, commenting, having your posts shared, liked and followed. 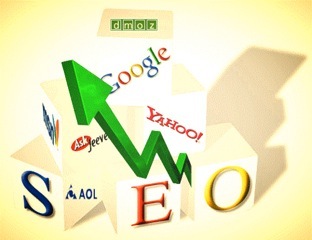 They all contribute to your overall social mention score which Google and other search engines favour. It’s saying to Google that people like your content so much that they are willing to share it. These past couple of years these ranking numbers highly influence Google’s overall page ranking score of you. It says to them “You are an influence who must be providing good quality content and that is why people are sharing it”. (YOU) Don’t stop at social media. Link in your blog posts from relevant industry-related sites, associates, and suppliers but beware of trying to build links from sources NOT related to your overall theme. (YOU) Write blog posts with quality relevant content that supports the services or products that you offer. Consider putting the relative blog links as “Related Content” within your product or service page. See example. Do these approaches make sense? Yes there are some “techy” things that you’ll need your web person to explain to you but there are also many things you can do yourself. The site we have revamped for our client is a work in progress and yours should be too. Small, consistent and incremental changes over time is what will make a difference. Search engines like Google take several months to re-index your site, its content and your presence in social media networks. Typically I suggest you have a contract with a web person for this kind of work for a minimum of six months so that these changes have time to make a difference and your site can be monitored and tweaked until the desired effects come to fruition. You know your goals have been met with the SEO changes when you have a number of new leads and new clients directly from the website. Make sure to set up those goals in Analytics. Keep growing consistently and keep assessing your progress. In nine to twelve months do a complete analysis again and compare it to your baseline figures. Remember to be “seen” everywhere and often in several social media networks. Have you considered doing this kind of analysis? How might it work for you? Will it be worth the effort? Absolutely! You’ll get more leads who you’re able to turn into clients. Wouldn’t that be useful? Let me know. Book a consultation with me and we’ll talk.